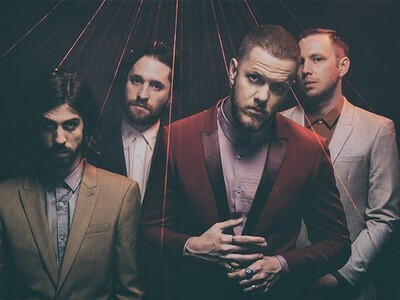 "Radioactive" is a song by American rock band Imagine Dragons for their major-label debut EP Continued Silence and later on their debut studio album, Night Visions, as the opening track. The song peaking at number three on the US Billboard Hot 100 chart and becoming the band's first top 10 single as well as being the third best selling song in that country. It also broke the record for slowest ascension to the top 5 in chart history, and currently holds the record for most weeks spent on the Billboard Hot 100 at 87 weeks. Also "Radioactive" received two Grammy Awards nominations for Record of the Year and Best Rock Performance, winning the latter.